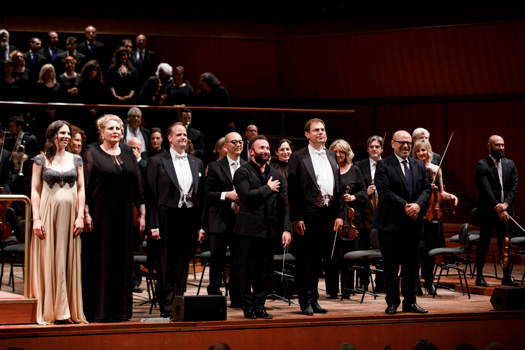 On 4 April 2019, Rome's 3,000 seat Santa Cecilia auditorium was filled to the hilt. The program included only one piece: the 'Ninth', as Beethoven's last and ninth symphony is colloquially called. It is a very familiar score often played, under important batons, in the symphonic seasons of the Accademia Nazionale di Santa Cecilia. 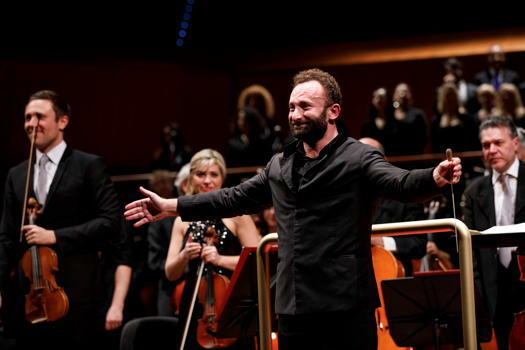 However, this was a special evening for two reasons : the conductor was Kirill Petrenko, who is playing the same program on 5 and 6 April before reaching Turin for a different concert with Italian public broadcaster RAI's symphony orchestra; also, due to industrial action, until 3 April late at night, there were doubts that the concert would take place. Thus, it was a double 'Ode to Joy', with Schiller's poem which pervades the 'Ninth' celebrating both the concert and the settlement of a dispute. A few words on the industrial relations issue, which involved the chorus. At present, 78 chorus members are permanently employed by the National Academy. According to the updated establishment - a requirement by the Ministry of Culture - the plan is that over a three year period, by attrition and a no turnover policy, its strength will decrease to 66. 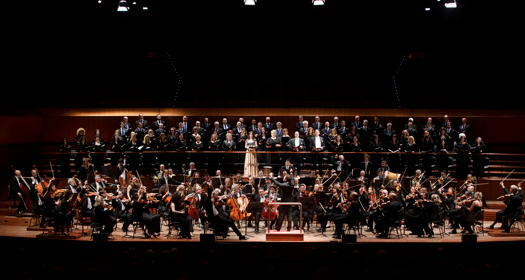 This is a reasonable size because most concert compositions including a large chorus call for 60 to 65 members and in the event of larger choral requirements (eg in Berlioz's Requiem, which will inaugurate the next Santa Cecilia season), extra chorus members can be hired in on a temporary contract basis. In comparison, London's Royal Opera House has 48 permanent chorus members, the Rundfunk Chor Berlin consists of 64 singers, and the Swedish Radio Choir has only 32. There is a wide variation and no magic number. The negotiations had been going on for a couple of months, and a concert program had to be modified because of a strike by the chorus. Fortunately, on 3 April 2019, an agreement was reached between the chorus and management. 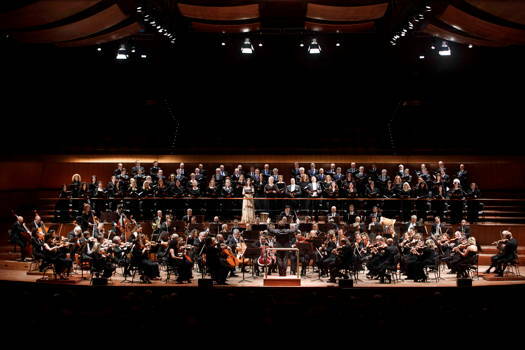 The chorus was warmly applauded when it entered the concert hall. The main attraction was Petrenko. He is one of the world's most sought after conductors. Born in Siberia 46 years ago and naturalized as Austrian, he has had a most brilliant career in Berlin (as music director of the Komische Oper) and in Munich (as musical director of the Bayerische Staatsoper). Next August he will take up his new duties as director of the Berliner Philharmoniker. In Rome, he conducted the Santa Cecilia performers in 2010 with a Stravinsky and Shostakovich program, and in 2013 with a concert version of Das Rheingold. I reviewed his performances in both Berlin and Rome for Music & Vision Magazine. Petrenko has a very special style: at the same time, philological and quite personal. Readers will know the 'Ninth' quite well. In this symphony, Beethoven wove the themes of the Enlightenment into his work and opened the way to Romantic music. Richard Wagner said that in his opinion, the 'Ninth' was the end of symphonic music and had all the germs of music drama. Petrenko is a great Wagner fan: for four years, in Bayreuth, he conducted a memorable Ring. Petrenko's 'Ninth' is different from the carefully and finally chiseled score - such as conducted by Solti in a milestone 1966 Decca recording of his performance with the Chicago Symphony Orchestra and a set of star soloists - or from the heroic posture of, say, Karajan or Pappano. Petrenko renders a highly dramatic reading of the score. The first three movements are read as a summation of Beethoven's previous symphonic work, filtered through the composer's memory: after all, his previous symphony was composed about ten years earlier. This is a joyful, not a melancholic visitation of his previous work. The fourth and longest movement - about 25 minutes - is when the chorus and soloists - Hanna-Elisabeth Müller, Okka von Damerau, Benjamin Burns and Hanno Müller-Brachmann - step in, join the orchestra and, at the same time, praise Schiller's joy and throw a challenge to the future of music. Petrenko is also visually spectacular. Young and athletic, he conducts not only with his arms, but with his entire body: his hands, his shoulders and his hips. A real show within the show. The audience was enthusiastic, giving ten minutes of standing ovations.